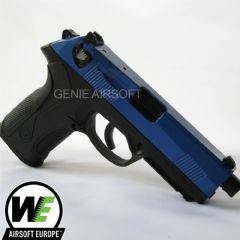 The Sigma Co2 only £79.49, it fires airsoft BB at nearly 400 FPS with a hard kick recoil with each shot, the velocity won't fluctuate in cold weather like gas blow backs. Once the last shot is fired the catch will lock back the slide simulating the action of the real steel. 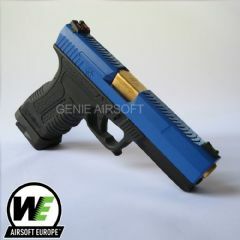 Finished in UK legal two tone colours, the top and the majority of the internals are metal. 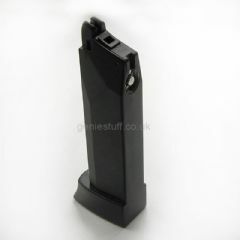 As with all Co2 capsule powered guns, do not over tighten the magazine cap as you may crush the valve. 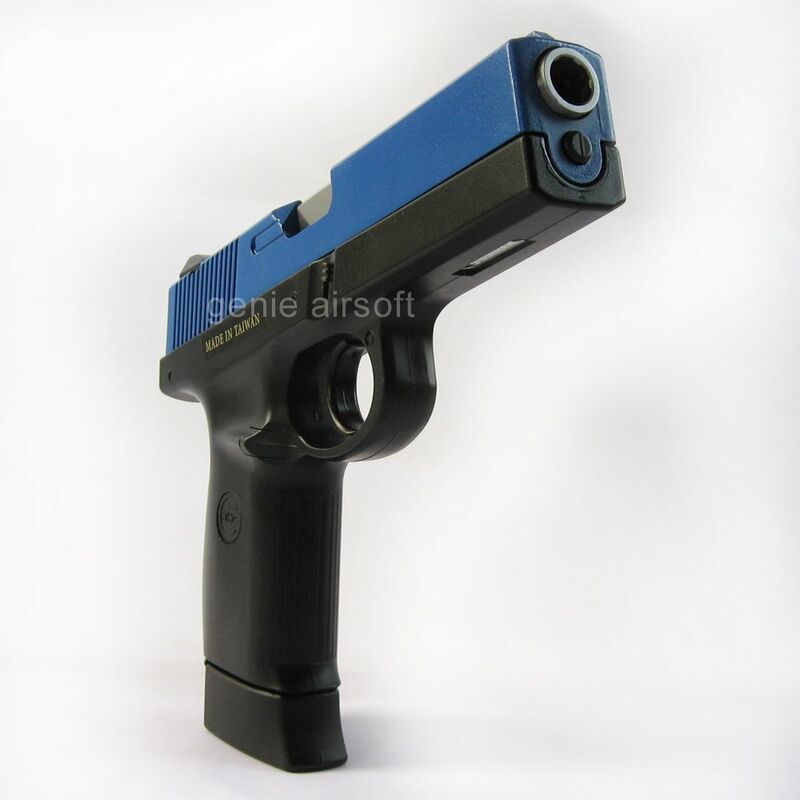 The safety catch is located at the base of the grip just like on the real thing. As an optional extra we've put together a bundle that saves you money. 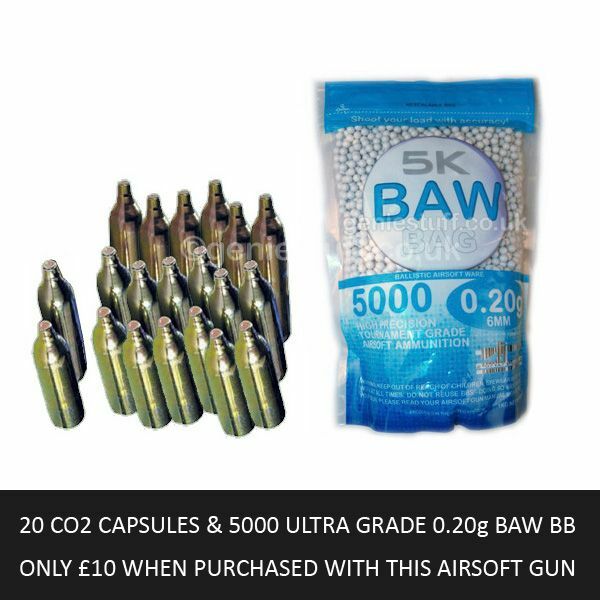 It includes 20 standard Co2 capsules and 5000 ultra grade BAW 0.20g BB for just £10 extra. This saves you £7.94 over buying these items separately. 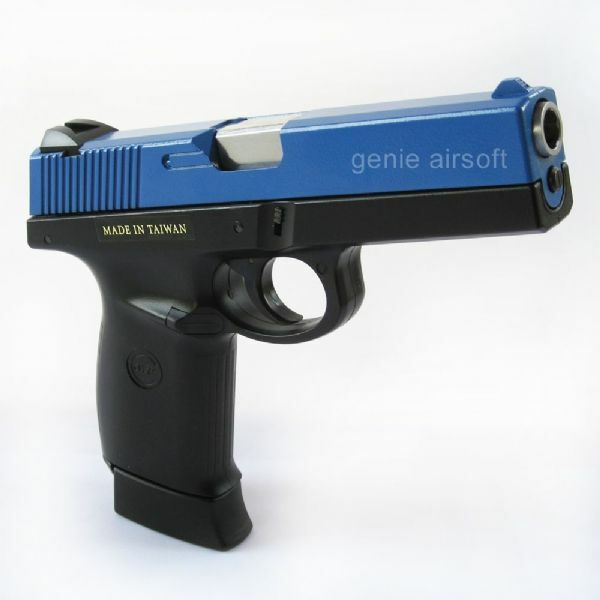 This two tone item for sale complies fully with VCR regulations, this item is not classed as a air weapon and you do not need a UKARA licence to purchase it, however you must be aged 18 or over. 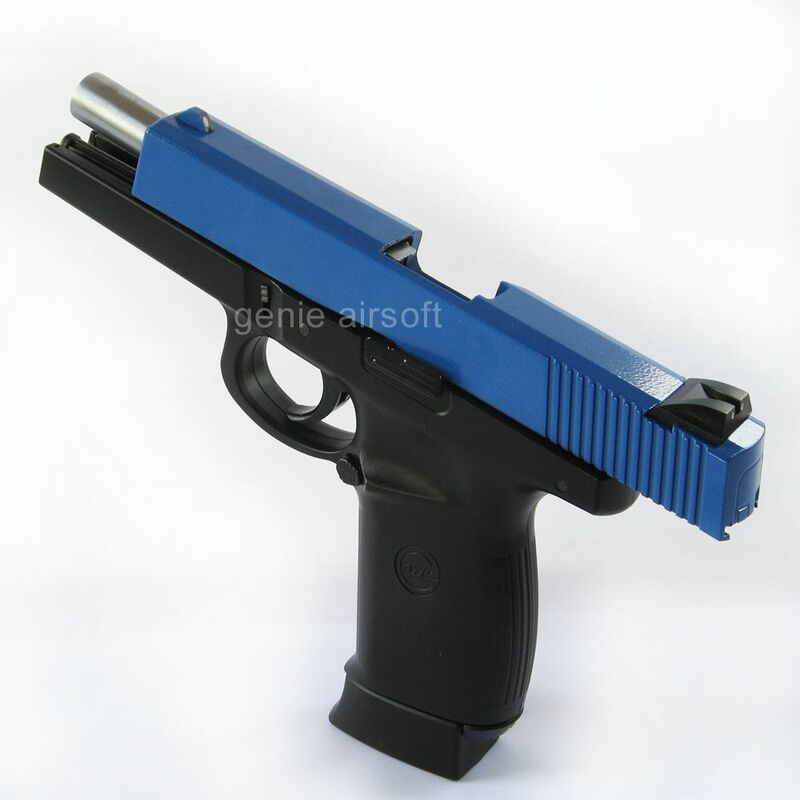 KWC is trading name of Kien Well Toy Industrial Co. Ltd, established in 1978 they have a range of high quality items based on popular sidearms. 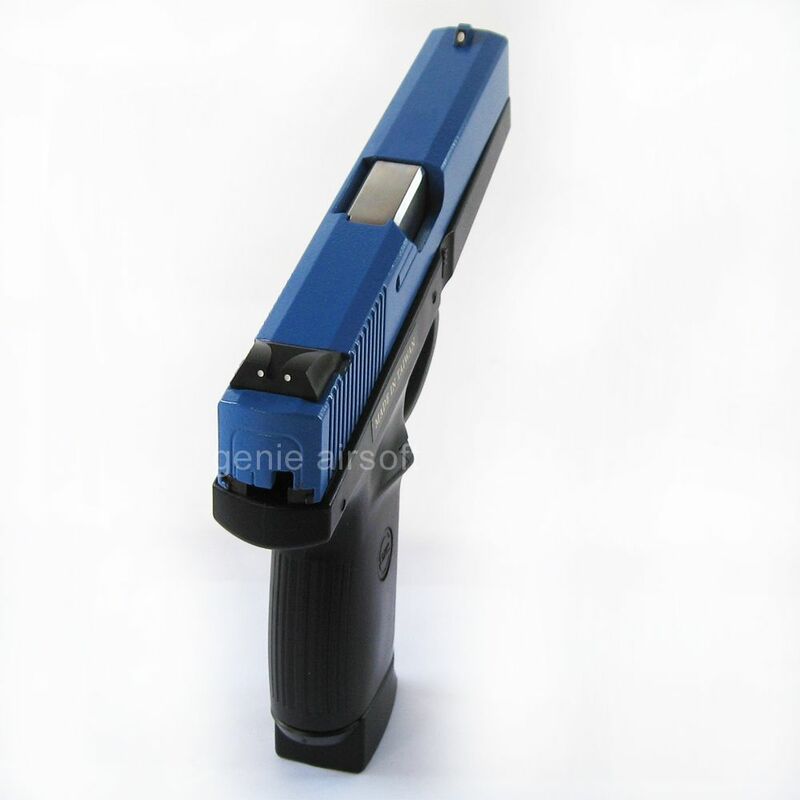 We offer fast delivery and we aim to supply you with your item within 2 working days. E&OE. Has many authentic features such as the rotating barrel mechanism that engages as the slide recoils backwards.